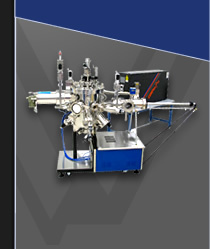 The AccuTemp (In-Situ 4000) process monitor is an ideal solution for closed-loop monitoring and control of multilayer thin film growth applications such as MBE, MOCVD, and CIGS source monitoring. The AccuTemp system provides real-time and accurate information on the substrate temperature, film thickness, and growth rate using a single normal incidence view-port. Temperature is measured using a two color infrared pyrometer specifically designed to be insensitive to window coating and alignment errors. The radiometer compensates for changing emissivity and corrects the pyrometry measurements. 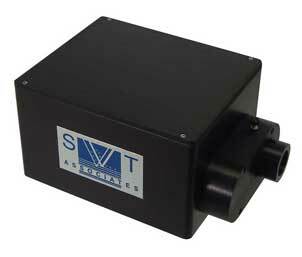 An optional Bandgap Module allows for monitoring of low substrate temperatures, and easy calibration of the pyrometer. Two independent optical reflectometer signals are analyzed to provide thickness, growth rate, and refractive index in real-time. 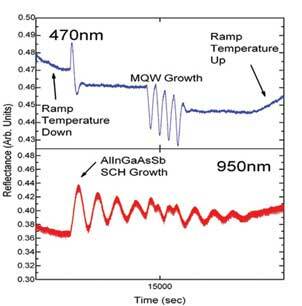 Typical application materials for the AccuTemp include but are not limited to GaN, GaAs, ZnO, CIGS, Si, ZnTe, SiC, MCT, and STO. The AccuTemp is used to collect temperature and growth rate data for reproducibility in the R&D setting, yet is versatile enough to be used as a monitoring and automation tool in the production environment. The Bandgap Module allows for temperature monitoring at temperatures below the range of a pyrometer for materials such as GaAs, GaSb and Si.